It was recently announced by Sky that the Final Fantasy Type-0 fan translation that him and his team had been working on had been removed due to legal threats. 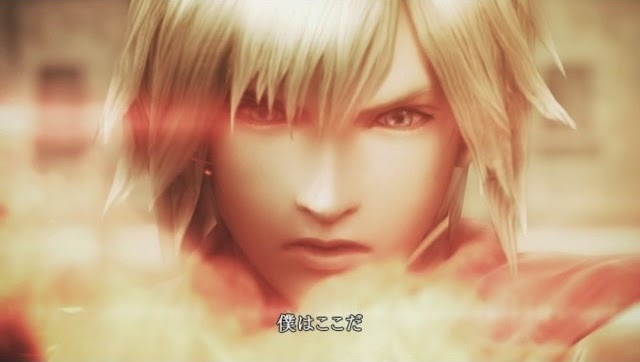 Game site Kotaku has published an article that delves much further into the drama behind Final Fantasy Type-0's fan translation and the HD remake. The article mentions that Square did have an official translation in the works in 2012, however it was never announced and completed due to business decisions surrounding the end of the PSP console. Shortly after, SkyBladeCloud and his team began working on the translation. The translation was scheduled for an August 2014 release, but Sky pushed it forward without notifying his team as after legal conversations with Square Enix, he had a feeling that Square Enix was going to announce their own Final Fantasy Type-0 translation. I'd really like to applaud Kotaku on this one and urge anyone interested to give it a read. Their article is full of much more detail than I can give and gives some much needed insight on what would usually be swept under the rug. You can read their article on the matter ("Final Fantasy Fan Translation Has Become A Fiasco") here. Have something to say about this news article? Comment below or send a tweet to @JRPGJungle!